Custom Neckties have always been the favourites of world leaders and entrepreneurs. This piece is just here to inspire you to make these your wear on occasions that allow you to cast a spell of professional looks on the group involved. Read ON! Choosing a necktie couldn't be any harder given the vast variety of options to choose from. There are plenty of shapes, patterns, colors, and knot types. Custom neckties are now an option, too, allowing you to create your own design. Knowing how to choose the right tie and to coordinate the knot type to your collar is an art. Mastering the art of wearing a tie can boost your confidence. It is very important to wear the correct type of tie for the suit. It should also match the occasion to avoid faux pas for wearing an inappropriate tie. Formal events always call for the usual black ties and classic bow ties, especially when wearing a tuxedo. But for some semi-formal events, you can use a three-piece option. Any color and any length are acceptable for these events. When wearing a custom tie for a black-tie event, always remember the “less is more” rule. The design of the tie should always complement what you’re wearing. When wearing custom neckties, you should always consider what shirt you'll be wearing. This determines what kind of tie will look better. For example, a white shirt and a dark shirt will accentuate a bright-colored tie. You can also layer the patterns if the patterns on your shirt complement your tie. For example, a patterned necktie with a light-colored pastel like pink or blue will work well. 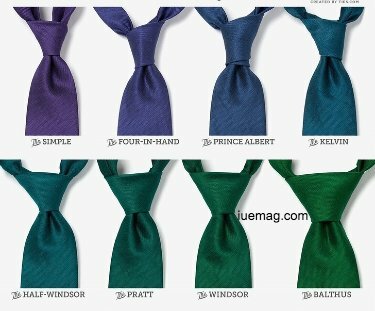 Choose the type of your knot according to your shirt. If you have a widespread collar, you should use a large and a triangular knot. This kind of knot should also look good with an Italian silk tie. If you have a straight-point collared shirt, a narrower knot with a longer extension should be perfect. Point collars and button downs look best with skinny and narrow ties especially if tied with a smaller knot. If you’re tall and lean, it would be better to use a small, longish knot. If you’re stockier and have a thick neck, then you should use a wider knot that has a more proportionate tie width. It is important that the size of the tie fills the empty space between the collar. You'll need more tie with a bigger tie knot. Larger tie knots best suit spread and semi-spread collars. They also suit standard width ties. These ties are the most fashionable. That's because they're fun for risk-takers who want to push the “style envelope”. Narrow ties work best for slimmer jacket lapels and silhouettes. They look great for most-sized people, and they’re appropriate for all events. A skinny tie works best for professionally-tailored suits, especially with a slender and close-to-body cut. You can ace this look with a tie bar in order to look sharp and polished. Standard width ties work best for larger people. They're also great for people who want to sport a more traditional look. When wearing a jacket, you need to make sure that your necktie and your jacket complement each other. If your tie is narrow, then the lapel of your jacket should be narrow, too. A 1.5-inch tie will look perfect with modern European suits. You can also wear single-breasted suits with one to three buttons to match your skinny tie. Getting your ties stained isn’t something that happens all the time. If your ties are stained, then you shouldn’t be wearing them at all. But what should be done if your custom neckties are wrinkly or stained? Wearing a wrinkled tie makes you look unkempt, regardless of how good your outfit looks. You can iron it lightly with a steamer or with a cool iron. To prevent your ties from being wrinkled, you can store them on a tie rack. To clean stained ties, you should wash them by hand. Hang them over a chair or a clothesline to dry them. Be careful not to ruin the color of your ties. Neckties have varying lengths to support men with different heights. At the same time, you shouldn’t use a tie that is too short. Bear in mind that a regular tie should end near the middle of the buckle of your belt. If you’re tall, then you should wear a longer tie. It's important that your tie accommodates your height for you to look proportioned. 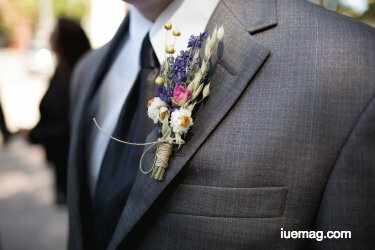 Custom ties are perfect for people who want to add a unique touch to their suits. At the same time, choosing the right one is key. Custom skinny ties are perfect and make you look trendy. But that’s not the case for everyone. If you’re under six feet tall or if you have a slender to medium build, then skinny ties are for you. Otherwise, choose another tie. How do you know which size is better for your body type? Taller, bigger and athletic people would usually look great with standard width ties. These range from 3.5 to 4 inches. Short, average or thin people will look great with narrow cut and middle width ties. These ties range from 2.5 to 3 inches wide. Tying your necktie the wrong way can be very embarrassing, especially when on a formal event. Always put your best foot forward and follow these tips. Match your necktie with your body type and suit according to the event you’re going to attend.Pocket squares and custom ties serve as the finishing touches for your business attire. This ensures that you leave a good impression on your clients as well as your co-workers. Make sure you take these guidelines into consideration when using custom ties. They’re very important so you should remember them by heart. If you need help with where to buy custom ties, you should be able to find them online.